a raised wooden maze without falling off. The faster you can complete the maze increases your overall score. 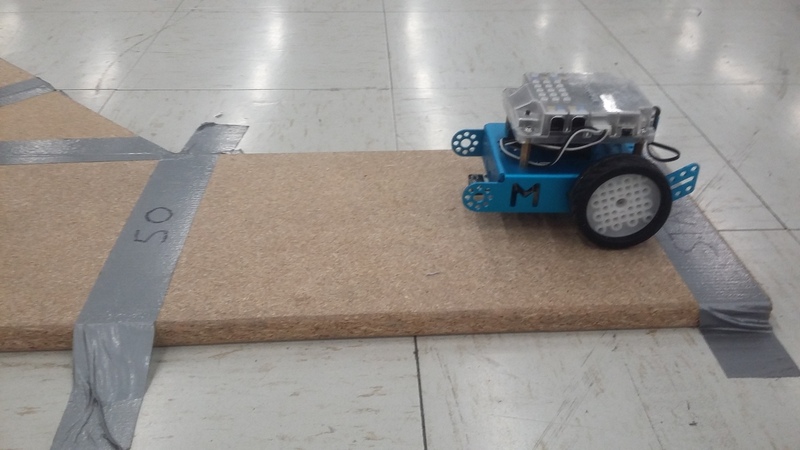 ROBOT: Volume of the robot must not exceed 65030 cm3, the only allowed sensors are wheel encoders. TRACK: Track is constructed of particle wood that is 24 cm wide and 2 cm tall. There are various lengths with combinations of 45, 90, and 135 degree angled turns in either direction. TIME LIMIT: The robot has 2 minutes to complete the maze.